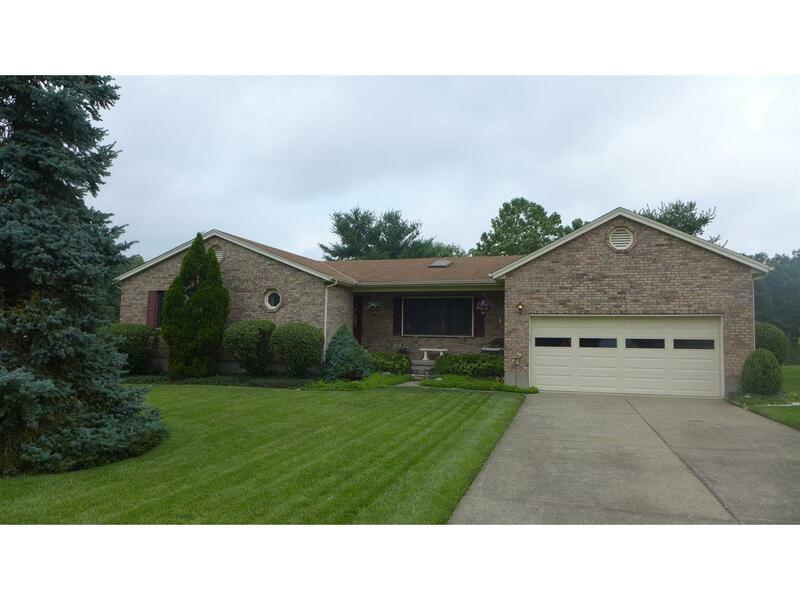 Nice 3Br,3Ba brick ranch on flat/Beautiful lot! Vaulted ceilings in LR, open kitchen/DR/FR concept w/island, w/o to large back deck & FP. Full unfinished bsmt, new water softener/hot water heater. Great landscaping/trees, private backyard, dock for pond & utility shed.